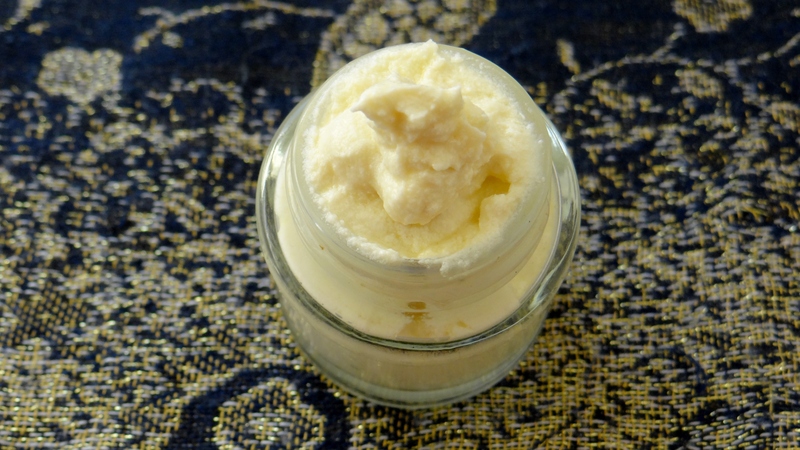 In my last video I demonstrated how I make my Coffee Bean Infused Butter and today I am using that butter to make a whipped butter for the hair and skin. 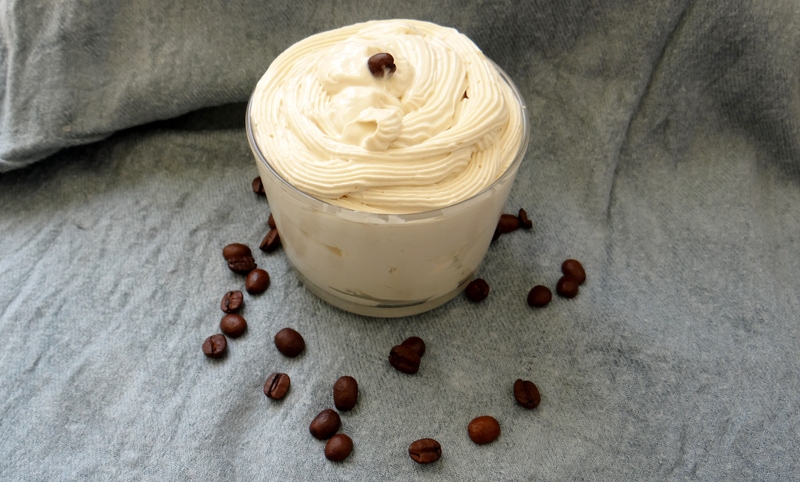 In case you missed the post on on how I make my DIY Coffee Bean Infused Butter please click here since that is the base of this recipe. 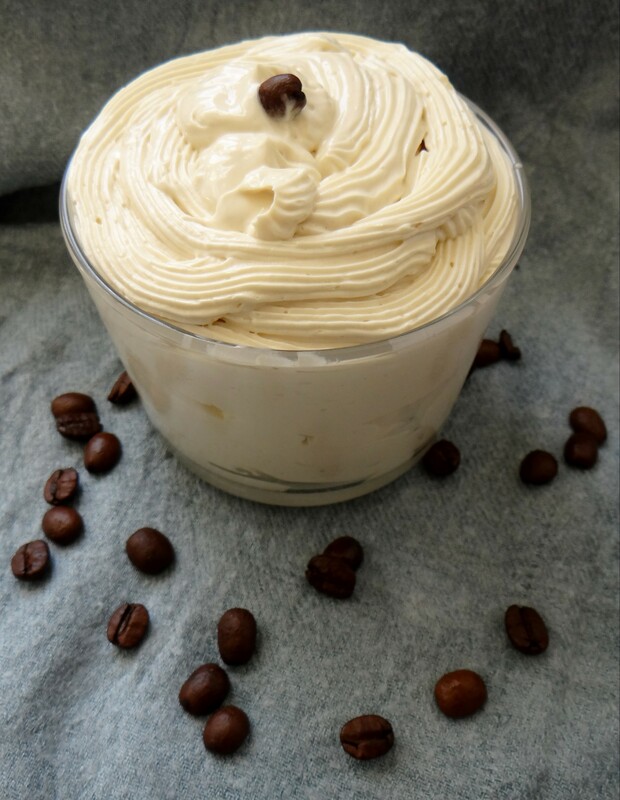 I have previously swooned about my love for all things coffee when it comes to my hair and skin (and yes it is a guilty drink pleasure too) and so this whipped butter is no exception. Benefits of Coffee for the Hair and Skin. *Should you have bleached/blond or dyed hair you do not want to darken, I suggest trying this with caution. The darkening is nothing drastic or overly evident however there is a potential that you will notice your hair getting a little darker so please keep that in mind. Known to reduce the appearance of cellulite. Apart from the benefits of coffee, the recipe is really simple to throw together and quick to make plus it smells great too! 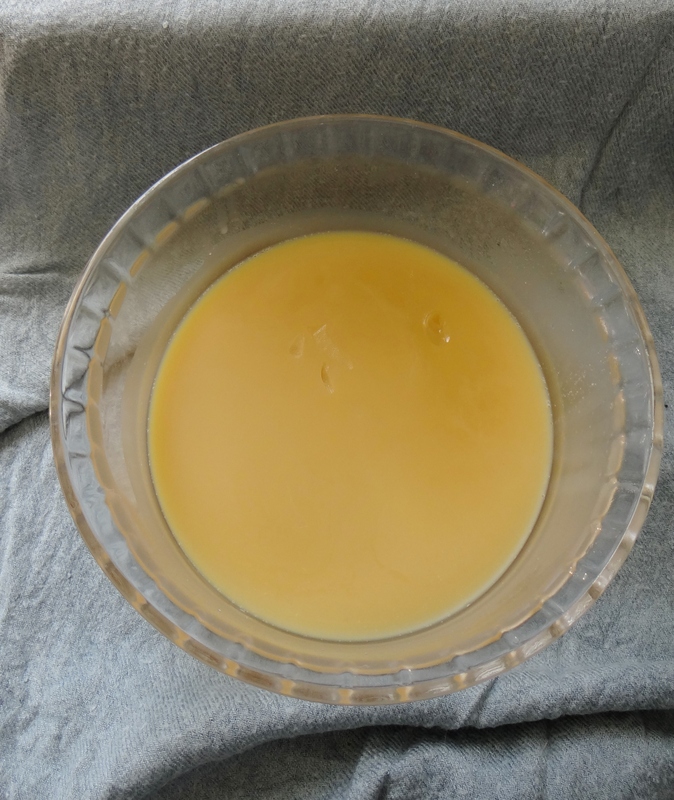 I have written (several times) about the benefits of each individual ingredient used in this particular recipe because I tend to integrate ingredients I know my hair likes over and over. So for a breakdown of each individual ingredient please read these links Hair and Skin benefits. Note: You can use any carrier oil you wish, I just like to reinforce the coffee with a little coffee infused oil. Glycerin is an optional ingredient that can be used (it is a humectant and not everyone’s hair plays well with it). You can also replace the glycerin with raw honey if your hair prefers that. I add the carrier oils to the melted infused butter, stir everything together and then place it in my freezer for 15 minutes. After 15 minutes I mix everything together with a spatula, the butter will be harder on the top and softer underneath. I whisk for a good 3 – 5 minutes and then I add the Vitamin E Oil and Glycerin (Essential Oil if you choose to add it) and then place it in my fridge for 5 minutes. This helps to thicken the whip a little and will help make it fluffier since I re-whip again. After 5 minutes in the fridge I whip for at least 5 minutes and that is it. I like using my spatula to get the whip out of the bowl and then a piping bag to transfer it because I like being “extra” but that is not necessary. I hope you enjoy the recipe & video, please let me know what you think! This entry was posted in Cocoa Butter, Cocoa Butter for Hair, Cocoa Butter for Skin, Coffee Bean Butter, Coffee bean infused oil for hair, Coffee bean infused oil for skin, Coffee infused oil, DIY Coffee Bean Infused Butter, Natural Butters for Hair, Natural Butters for Skin, Unrefined Cocoa Butter, Unrefined Coffee Bean Butter, Unrefined Shea Butter, Whipped Butter, Whipped Butter for Hair, Whipped Butter for Skin and tagged Cocoa Butter, Coffee for natural hair, Coffee for skin, DIY Coffee Bean Infused Butter, How to make coffee infused butter, Infused Coffee Butter for Hair, Infused Coffee butter for skin, Shea Butter, Unrefined Cocoa Butter, unrefined shea butter, whipped butter for natural hair, Whipped butter for skin, Whipped Coffee Infused Butter, Whipped Hair Butter on October 12, 2015 by Maicurls. Here we go, another whipped butter recipe however, this one is a little different to the others. 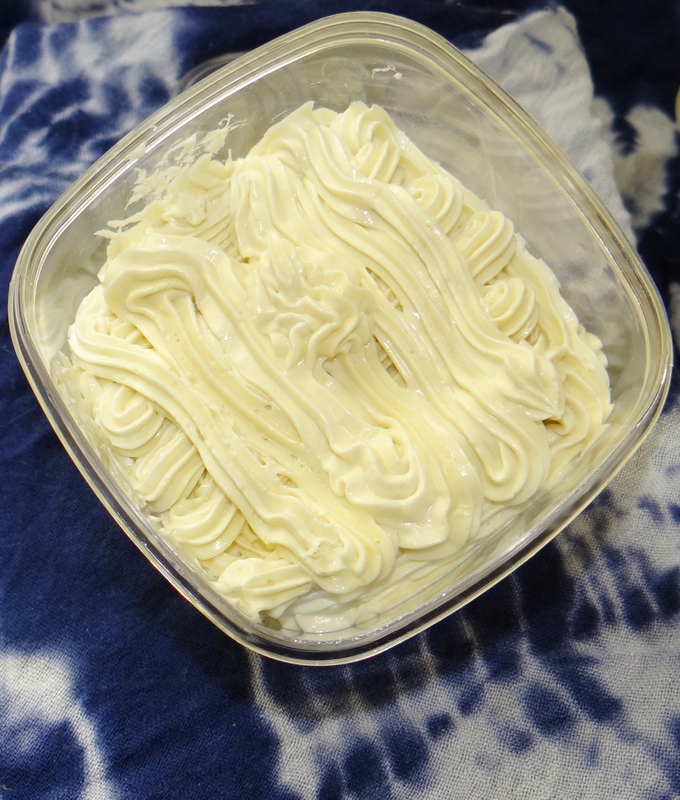 I sort of came up with the mix because I decided to try and make my own whipped butter Deep Conditioner (DC). After a few experiments I came up with a combination that I loved and more importantly that my hair loved so I had to share. In this recipe I use a combination of protein, a little bit of moisturizing ingredients (just a tiny bit) and butter, so the end result is a protein packed whipped DC butter! This butter DC works similarly to a regular Protein DC except that the addition of the whipped butter really makes my hair feel wonderful after rinsing it out. My curls pop, my hair shines and I do not get that stiff crunchy feeling you can sometimes get from regular protein DC’s. It also helps with shedding, breakage and strength. I will admit that I do not apply this as often as I do my regular Fortifying Protein Deep Conditioner because I love my butters and I am not a fan of washing it away (I am greedy like that)! Having said that, if your hair is protein sensitive then you might want to thread carefully (if at all). All hair requires a little protein, yes even though with protein sensitive hair, but you will want to modify the ingredients I use and also spread out when you apply the product so your hair doesn’t end up being overloaded with protein. (Alternative suggestions are below). 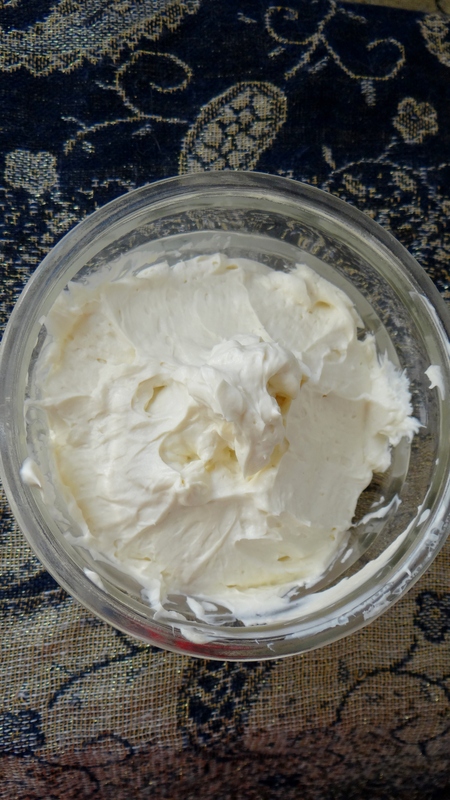 2 oz Whipped Butter (I used my DIY Whipped Shea Butter but you can use any whipped butter of choice). 2 oz Deep Conditioner (I prefer using a Moisturizing DC since I add protein in this recipe). 0.6 oz Lightly warmed up Rose Water – (can be replaced it with plain water). 1 Egg Yolk – protein (use the egg whites for breakfast or a face mask). 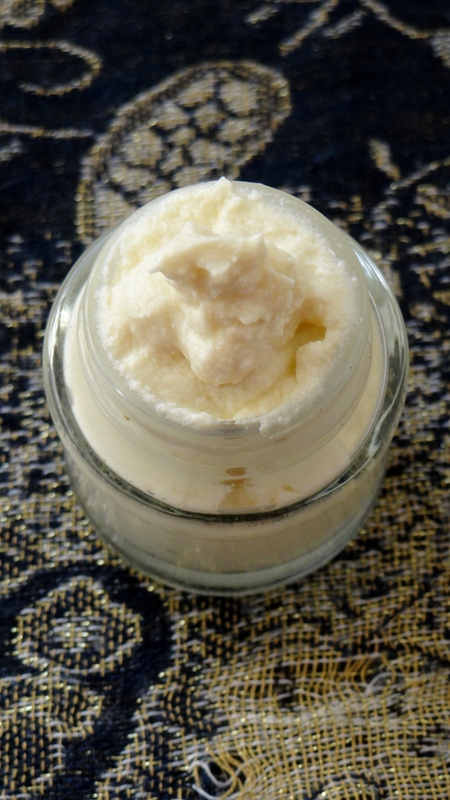 I first re-whip my whipped Shea Butter just to make everything super fluffy. I then add in the DC and whisk again. I lightly warm up the Rose Water or plain water if you are not using Rose Water (it should just be warm not boiling). I sprinkle the Gelatin over the water and then stir to let it dissolve (set aside). I then add 1 egg yolk to the mix (I skip the egg whites because I always end up with bits of cooked egg in my hair if I add egg whites). Once the gelatin has dissolved I add the gelatin/rose water to the butter whip for the last time and then transfer to my bowl. I apply the mix onto freshly washed (damp/wet) hair, cover with clingfilm, a shower cap and usually a scarf to keep my head nice and warm. The warmth helps to open the cuticles and allows the nourishing benefits to really seep into the hair. After 30 – 45 minutes I rinse out the DC with cold water. If you use warm water you run the risk of cooking the egg yolk in your hair and if you used the whole egg then the risk is even higher thanks to the egg white (cooked egg in your hair is difficult to get out)! I then reluctantly apply a moisturizing DC. I say reluctantly because my hair always feels awesome but doing a moisturizing DC helps to restore the balance of moisture/protein. It is not recommended to keep this DC for later use due to the combination of the butter, liquid and egg yolk. If you have any extra then I would suggest storing it in your freezer (if you must I would just splatter all the DC onto your hair). If you have made the mix ahead of time do not keep it for any longer than a few days in your fridge (it MUST be kept in your fridge if you have to make it ahead of time) trust me, any longer and you will regret opening the container! If it has been stored in the fridge or freezer the butter will become hard so you will need to take it out at least 30 minutes to 1 hour before you plan to apply it. Make sure you use a moisturizing DC instead of a Protein DC. Use either the egg yolk or the gelatin powder (not both). Add more moisturizing ingredients e.g. glycerin/honey/aloe Vera juice. Leave the DC on for no more than 30 minutes and only apply it a couple of times a year. Follow up with a Moisturizing DC for no less than 1 hour. I hope you enjoy the tutorial and the mix, would love to get some feedback if any of you try it! This entry was posted in DIY Protein Deep Conditioner, Protein for hair, Protein Whipped Butter, Shea Butter, Whipped Butter, Whipped Butter for Hair, Whipped Deep Conditioning Butter and tagged Butter for natural hair, Deep conditioner for natural hair, DIY Deep Conditioner, DIY Deep Conditioner for natural hair, DIY Protein Deep Conditioner, Egg for natural hair, Gelatin for natural hair, Protein Deep Conditioner, Protein for natural hair, Protein Whipped Hair Butter, Shea Butter, shea butter for natural hair, Whipped butter for hair, whipped butter for natural hair, Whipped Protein Deep Conditioning Butter on September 18, 2015 by Maicurls. All the butter recipes to come have all been used and loved by yours truly. So none of them have just been picked at random from the Internet. 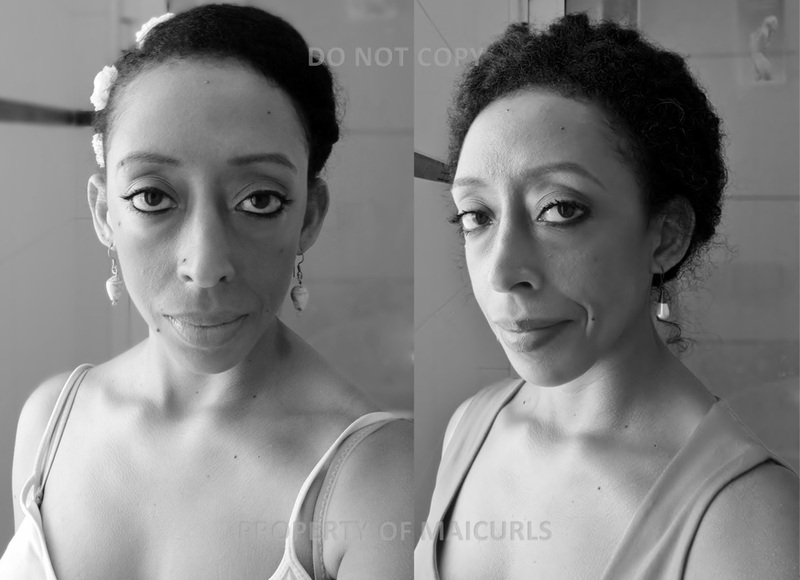 I used the mixes on both my hair and skin, did some trial and error and will be sharing the ones I love the most. *You can use any carrier oil of choice it does not have to be the two I use. 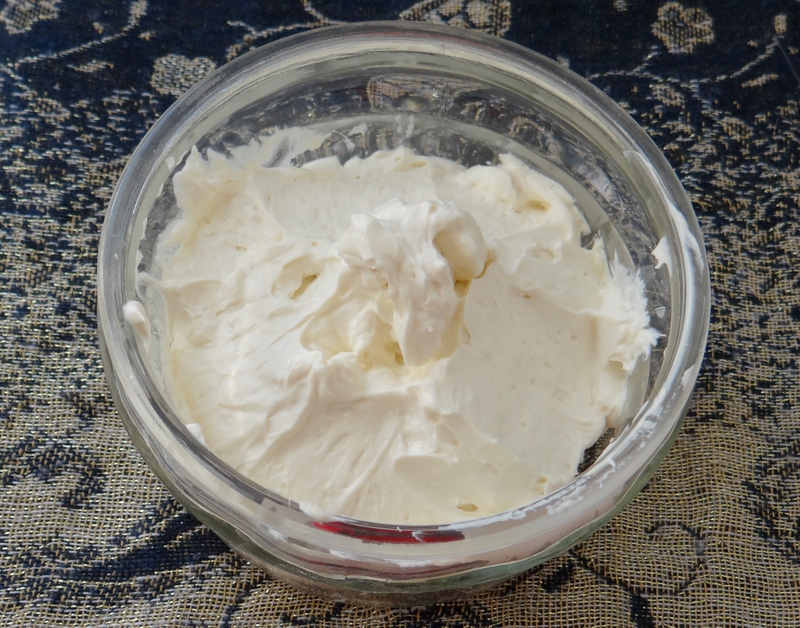 Note: I live in the dessert and it is ALWAYS hot so I tend to prefer my Shea Butter whip a little on the firm side which is why I use more Shea Butter compared to Carrier Oil. If you live in moderate/cold weather you will probably want to use more Oil e.g. 2 – 3 oz. This will allow your butter to be light and soft. However, please keep in mind, the Oil is what makes the butter soft, and if your house is warm, there is a slight possibility that you butter might become too soft (if you increase the Oil amount). The opposite applies if you follow my recipe and you live in cooler climates or have a cold house. The whip might become too firm for you, so it really is a trail and error thing until you find the optimum ratio balance. I use Essential Oil and vitamin E Oil for the nourishing benefits (read about them here) as well as the fact that they help extend the shelf life of the whip. 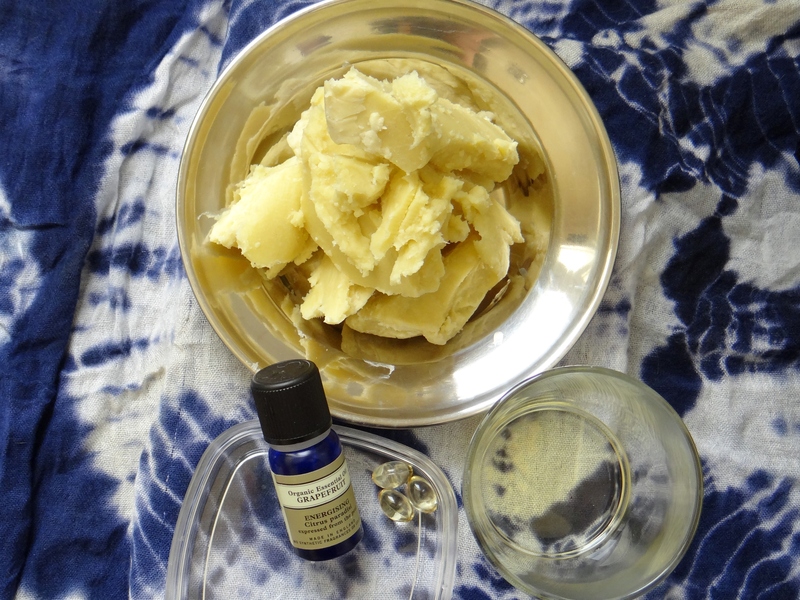 The shelf life of your mix will depend on the experiry dates of your Raw Shea Butter and Carrier oil. E.g. if your Shea has a 1 year lifespan as well as your Oil then your butter should be good for at least 1 year (as long as you do not add water, dirt or contaminate the mix. If one of your ingredients has a shorter lifespan than the other, you will want to keep an eye out just to make sure it doesn’t start to look/smell funny. I first lightly melt down the Shea Butter in a double broiler. To double broil, I put a pot with water on the stove and bring it to a light boil and then place a heatproof bowl with the Shea over the pot. You do not need a lot of water, just enough to create steam under the heatproof bowl. I double broil on low heat for no more than 7 minutes. I do not completly melt it down while on the stove because the warmth from the melted butter will melt the rest. I then add the Carrier Oils to the melted butter, stir and place it in my freezer for 10 – 15 minutes. After it has become thick (you want it to be thick not firm) I scrape the Butter to the middle of the bowl with a spatula and then begin to whip. I use a whisk to whip the butter on a low setting at first and then move onto a higher setting later. Always scarping the sides to make sure all the butter is whipped. After a few minutes of whisking I add the Essential Oil and Vitamin E Oil to the whip and continue till I get the consistency I am happy with. I then transfer the butter into an airtight container. I am of course “extra” and use a piping bag to transfer the butter but a spoon/spatula will do and that is it! I hope you like the start of my new series! 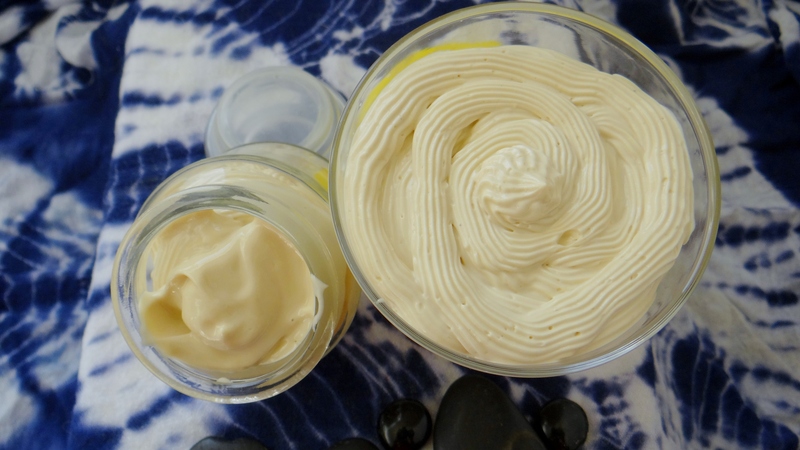 This entry was posted in DIY Whipped Sea Butter, Shea Butter, Unrefined Shea Butter, Whipped Butter, Whipped Butter for Hair, Whipped Butter for Skin and tagged coffee infused almond oil. 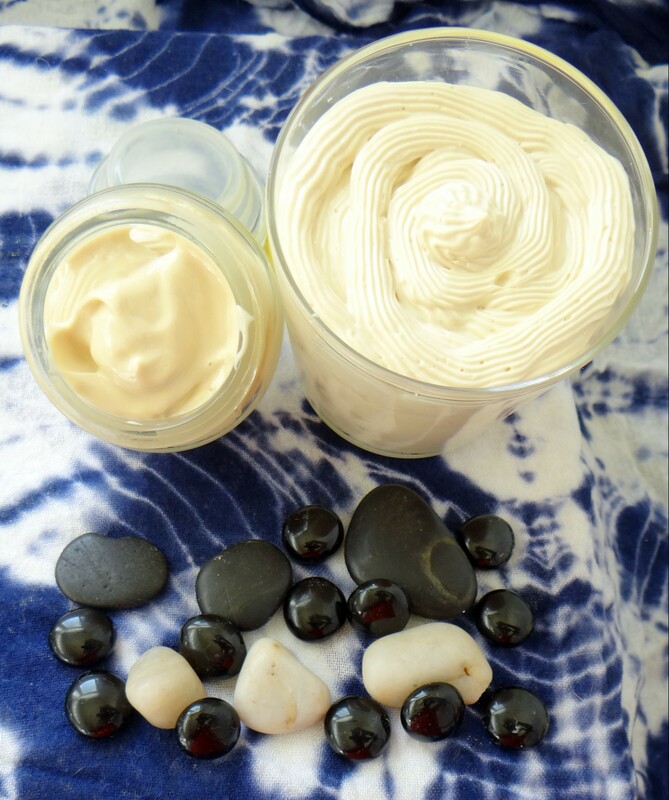 coffee bean infused almond oil, diy whipped shea butter, Grapefruit Essential oil, hair butter, how to whip shea butter, shea butter for dry natural hair, shea butter for hair, shea butter for natural hair, shea butter for skin, unrefined shea butter, vanilla bean infused almond oil, VItamin E Oil, whipped shea butter on August 18, 2015 by Maicurls.